Purchase an Aqua Pencil Starter Kit and you will get the Aqua Pencil, Aqua Tether, Aqua Slate, Aqua Lead Pack, and an Aqua Pencil Eraser. 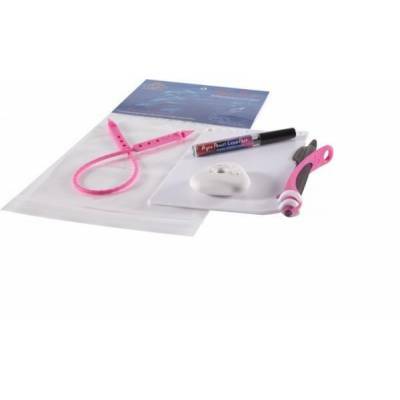 This is the full kit to get you started again on writing underwater or near the water. The Slate provided in this kit has been specially designed to fit the Aqua Pencil. It has a basket to capture the tip and a spot for the pencil to snap on. There is a hole designed to accept the Aqua Tether. A slot and larger hole provide various means to attach the slate to your gear. The Slate is 4" wide x 6" high.